Are you looking for RRB Assistant Station Master Previous 10 years question? Then here is the best place for you. This is most important previous years question for you. RRB Board recently notices recruitment of Assistant station master of all over Indian Railway. This is the great opportunity for all the Job Seekers. Afternoon long time RRB Railway recruitment Assistant Station Master. So You need previous Year paper, study materials for preparation. 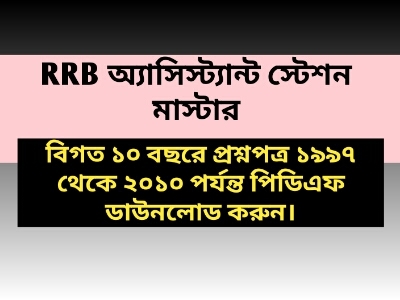 Today GK Solve share RRB Assistant Station Master 10 years question pdf download link. You can Easily Download this previous year question and start practice. Previous Year question is the most Important for your Exam preparation.So all the Readers are requested to download this 10 years question pdf as soon as possible and start practice. Hope, This post is the most valuable for you.